Doing business in India is easy now. Why? India has jumped 30 ranks to bag the 100th position this year. Last year India was ranked at 130th position. 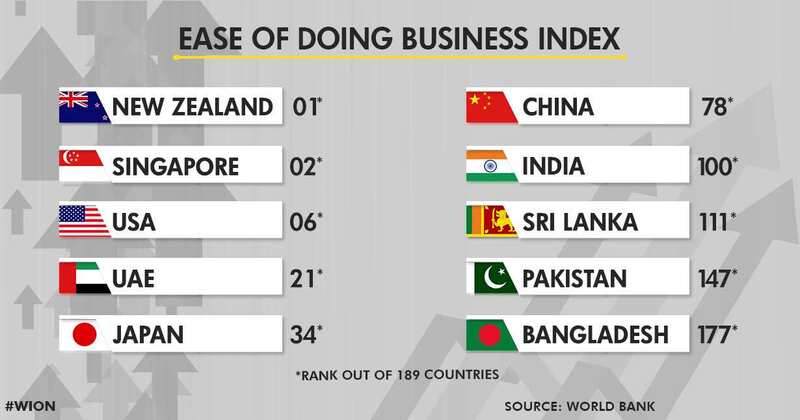 Pakistan and Bangladesh are among the worst countries in terms of 'Ease of Doing Business'. 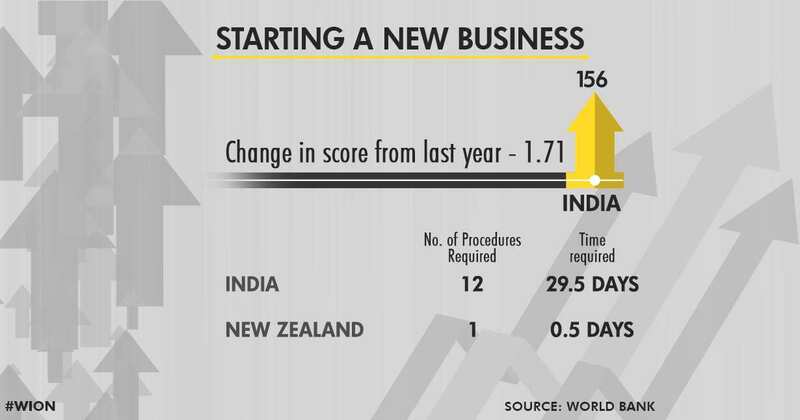 In India, almost a month and 12 procedures are required to be compiled to start a new business as per the report. On the other hand, New Zealand, which tops the list, requires only one process and half day?s time to start a new business. 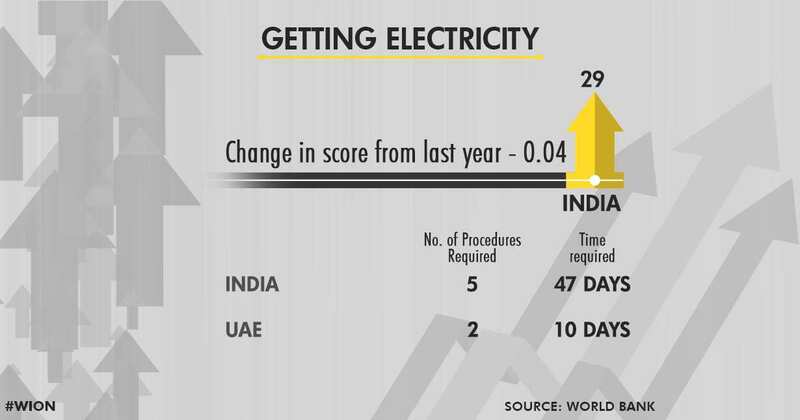 India performs much better in terms of getting electricity for a business unit and is ranked at 29th position on this parameter. It takes around 47 days to get a new connection in India as against UAE where it can be done in 10 days. Registering a property is an important aspect of doing business and is also one of the criteria for the ranking. 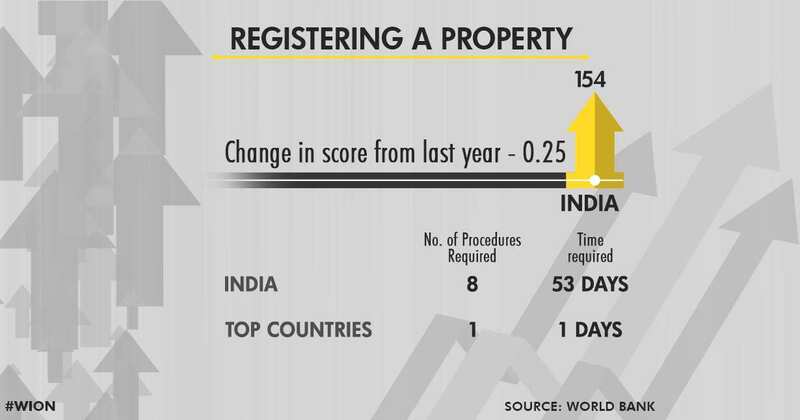 In India, it takes around 53 days to register a property and which is why India is ranked at 154th position out of 189 countries. 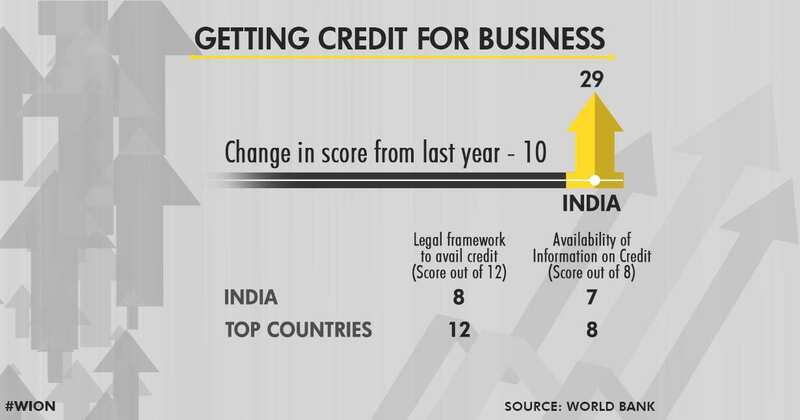 Getting a credit is again a strong criterion for India where it is ranked 29th in the world. Also in this criteria, India has scored 10 points higher than last year, making it one of the reasons for India's 30 place jump in the overall index. 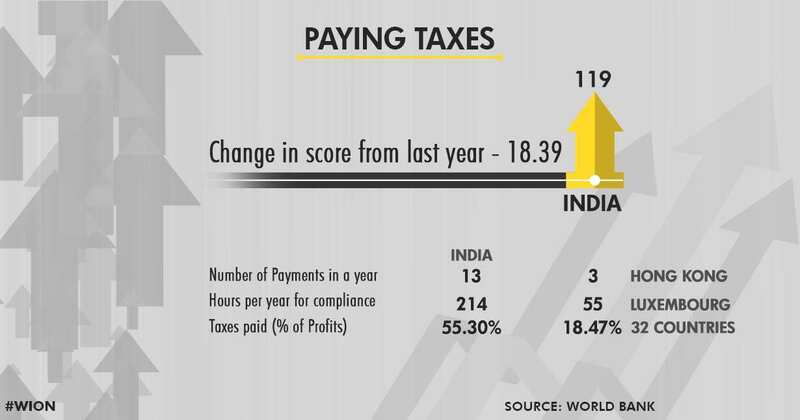 Recent Tax reforms have increased India's score in this criteria by 18.39 points, which is also the prime reason for the jump in India's ranking. However, the tax rates, the time required and the number of payments in India is still much higher than other countries performing better in the Index. Will PM Modi's 'Make in India' plan succeed? The criteria is one of the most important one to attract foreign investments in India and Narendra Modi's 'Make in India plan'. However, 143 hours and $ 442 required to be invested in export, are making it impossible to succeed.